Definition - What does Goddess Pose mean? Goddess pose is a powerful posture for opening the hips and stretching the inner thighs and groin. It is also a strengthening posture, particularly for the lower body. To enter this pose, begin standing in a wide stance with the toes turned out and the knees bent, bringing the lower body into a wide-legged squat. For a deeper variation, the heels may be lifted off the ground. 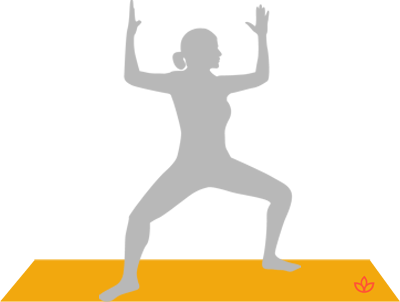 The Sanskrit name for goddess pose is utkata konasana.